Rubber Martingale Stoppers prevent martingales from shifting. Rubber Martingale Stoppers is rated 4.7 out of 5 by 51. Rated 5 out of 5 by Luana from Rubber Martingale Stoppers I bought a pair of the rubber martingale stoppers for a standing martingale, and the product does it's job very well keeping the martingale in place. It's affordable, easy to put on, and it seems to be durable. It's nice that they come in a pair, so you will have a backup one. ;) I recommend it, and I'll definitely be ordering more as needed. Rated 5 out of 5 by hertzk from Nice that it is a two pack As Advertised! 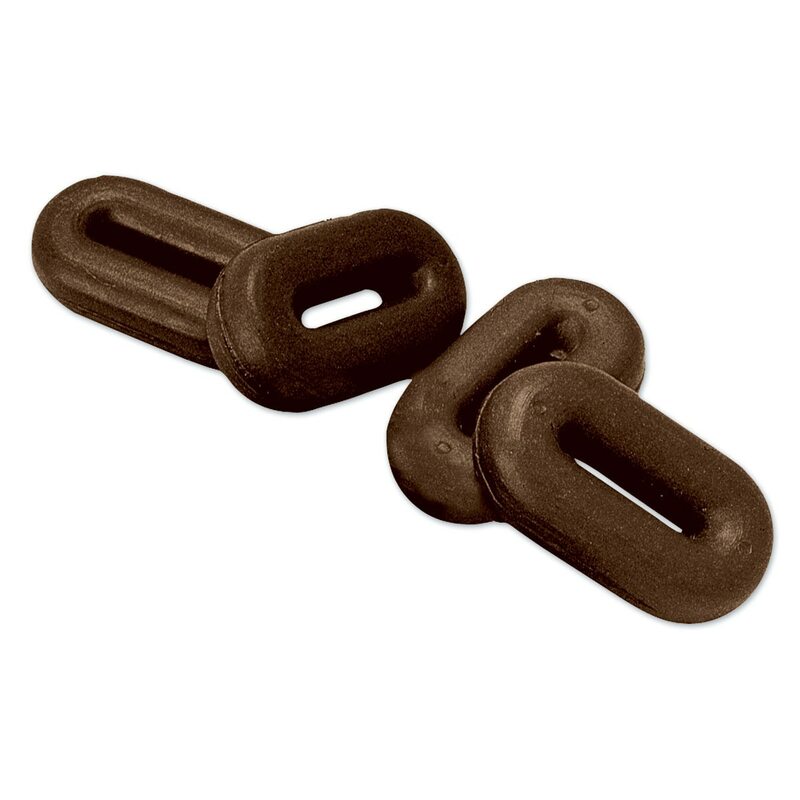 Perfect rubber stopper for martingales and nice that it comes in a two pack! Rated 5 out of 5 by ekb777 from Works great! This product was exactly what I was looking for!!! Rated 5 out of 5 by Davon from great product The product is well made and with great price. I like it a lot. Rated 5 out of 5 by Mary S from Convenient and easy. These were easy to get on and look good. The rubber is very stretchy and while I do not need two, I like that it came with a second one just in case. Really great price and convenient. Rated 5 out of 5 by Trish from These Do The Job I haven't used this brand of stoppers before but they seem to do the job. Smart Pak was one of the few online retailers which carries these. I have generally been very satisfied with my purchases from Smart Pak. Rated 5 out of 5 by SFRyder from Perfect pair I was only going to order one stopper, but I'm glad they come in a set because I ended up needing two. They were very easy to put on my martingales, but once they are on, they do a great job of keeping things from moving around. Very good looking and well-made as well. Rated 5 out of 5 by love horses from Great product. I bought these about a month ago because the ones I had were cracked and dry rotted. These are nice quality, soft and easy to slide onto the martingale. Rated 5 out of 5 by Deano from So stretchy!!! Very happy with these, nice and soft, easy to get on the martingale.